Things We Like: Silk Pillowcases! My girlfriend came back from her hairdresser a couple weeks ago with a new mission: silk pillowcases. She had just gotten some fancy hair treatment and was told that silk pillowcases are not only the pinnacle of luxury, but they will also help her treatment last longer. I was skeptical, and was sure that if you talked to the right person they’d also tell you silk pillowcases will do the dishes, mow the yard, and file your taxes… In any event, she was sold on the idea and the pillowcases arrived in the mail a couple days later. Let’s discuss. In my research, I actually discovered that many people tout the benefits of silk pillowcases for hair. 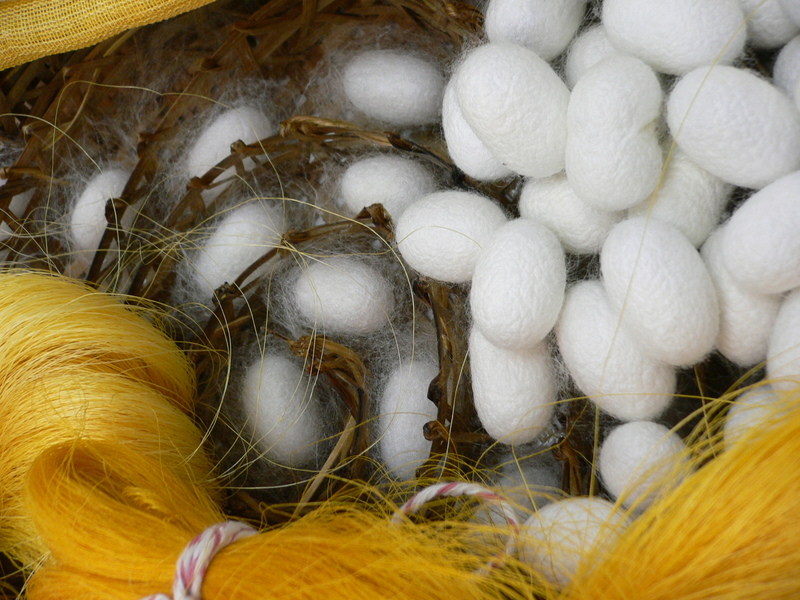 Apparently, the amino acids that are naturally found in silk help promote hair growth. The smooth texture of silk doesn’t pull on your hair like cotton pillowcases might, which helps keep more of your hair where it belongs: on your head. One of the other popular benefits associated with silk pillowcases is for wrinkles. Evidently, dermatologists and plastic surgeons can tell what side you sleep on because your face gets creased and wrinkled from lying against a cotton pillow for one-third of your life. Silk is supposed to help reduce these creases. *Food for thought – most people will have slept for 20 years by the time they reach 60. Silk pillowcases are also good for your skin for other reasons. Silk is hypoallergenic, doesn’t retain moisture, and contains some of the same amino acids that you’ll find in skin moisturizers. Silk pillowcases are also considered cleaner than cotton pillowcases, and are more resistant to mites. I guess I was overly skeptical of silk. If you like everything to match, you may have a problem with silk pillowcases if you’re just buying the pillowcase separately. An easy fix would be to buy the entire set of silk bedding, but not everyone likes to sleep in silk sheets because they can feel slippery. Silk bedding can also get expensive, but I guess that’s a potential drawback of any quality sheet set. The Verdict: Silk Pillowcases Feel Great! Regardless of their health benefits. The jury is still out as to whether face wrinkles are the result of the “harshness” of cotton. I think there are other factors at play like the type of pillow you sleep on, and it may just be that wrinkles are an unavoidable fact of life. However, I like to think that something as simple (and comfortable) as switching to silk pillowcases will help keep me looking sharp in my old age. Silk pillowcases put a whole new meaning to beauty sleep. In any case, in the aftermath of the recent heat waves in California (it got to 100 degrees on the coast, with no A/C ), I’ve been thinking silk is the way to go next summer. Silk is better at regulating temperature than other fabrics like cotton, and it gives us an excuse to try something new. What do you think? 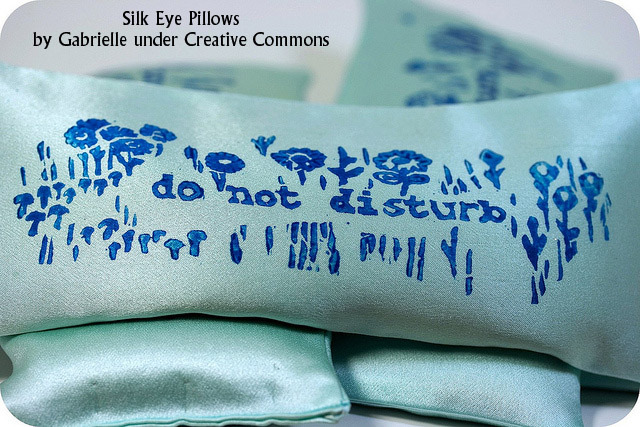 Have you tried silk pillowcases before? Are they for you? Let us know in the comments below. As a teenager visiting cousins in Germany, I experienced many firsts. This cheesy, melted delight was one of my favorites. Struggling through the German language, I was somewhat confused by the use of the French word champignon (until I learned that the word for mushrooms in Germany is Pilzen). So I stuck with the French name and have been making Champignon Toast ever since. Richly satisfying for breakfast. Served with a fresh garden or cucumber salad, it also makes a wonderful light dinner. Many variations can be achieved by working with different types of breads, cheeses and mushrooms. Ham or bacon can be added for a sturdier open-faced melt. And perhaps best of all, this recipe calls for just a few simple ingredients almost always on hand. 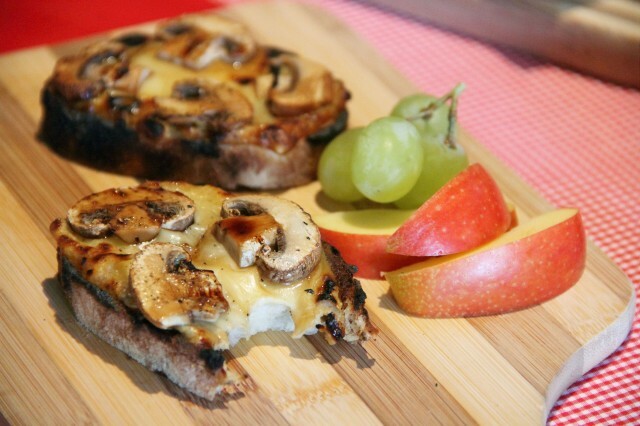 I like my Champignon Toast pushed to the edge of burnt, where the bread is warm but still soft, and the cheese is melted until nearly crispy. You may prefer yours a little less done, so watch closely when broiling as it melts quickly. Try it, at any rate, for a simple, divine breakfast in bed that even Mrs. Norton would approve. Turn on broiler. Cover a baking tray with aluminum foil. Cut 2 ½-inch thick slices of Ciabatta bread (if not pre-sliced), and place on foil-covered tray. Cut two thin slices of Jarlsberg cheese, to evenly cover bread slices. 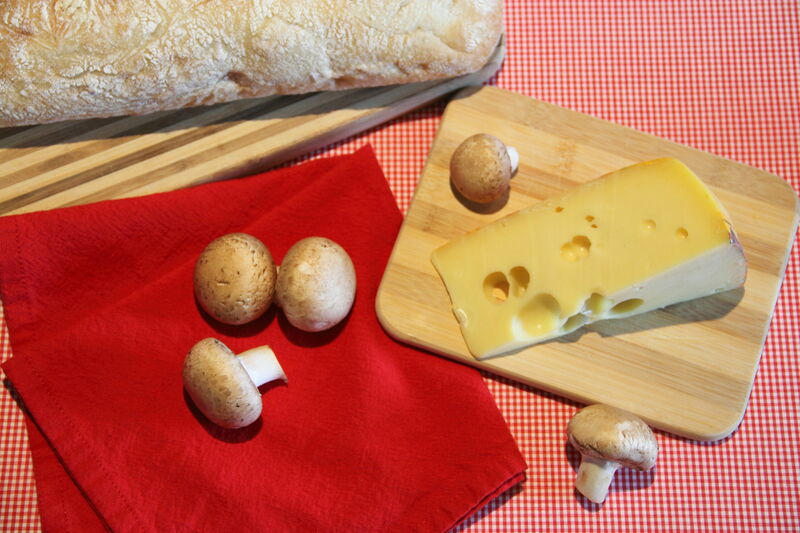 Clean mushrooms by brushing thoroughly with a paper towel. Trim ends, and slice into thin slices. Arrange evenly on top of cheese-covered bread. 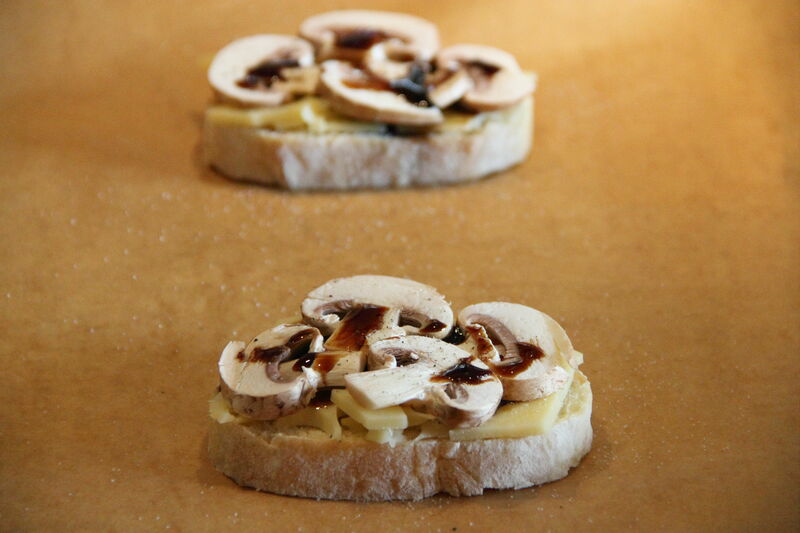 Drizzle a small amount of balsamic vinegar on top of mushroom slices. Sprinkle with salt and pepper. 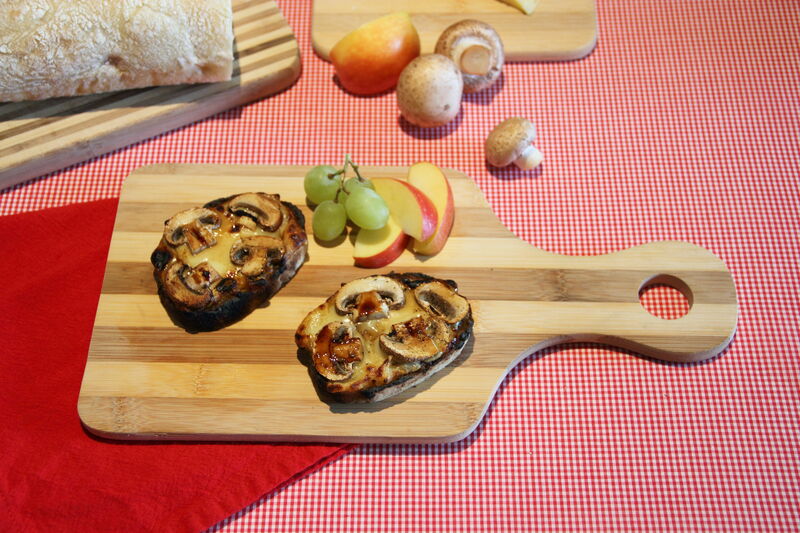 Broil champignon toast slices 6 inches from flame, 1 to 2 minutes, until cheese is melted and mushrooms are soft. Serve hot. In my blog a few weeks ago, I chatted about geometry. In the flurry of the back to school season and as our presidential candidates debate about how to best revamp our nation’s great education system, I continue my educational discussion this week on another elementary subject: geography. There is no better way to learn about geography than through the use of visual tools, such as a globe. Despite their educational value, globes are not just limited to classroom use. A globe in the bedroom can be the perfect accompaniment to achieve an A+ room. 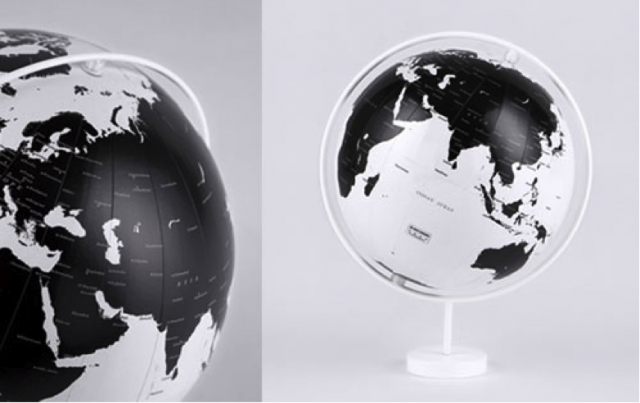 Before there was Rand McNally, there was Nendo, a Japanese design company that created this black and white “CORONA” globe. Whether you are looking to outfit your bedroom floor or bedroom desk, their 3 fast food sizes – small, medium, and extra large has it covered. In addition to the absence of color, there is something very feminine and subtle about the supporting sphere and base. They are the elements that transform this classic school supply to modern artwork. I am a minimalist, so when I found these globes, I was instantly attracted. My bedroom is easily cluttered so a defining black and white globe that can express itself behind all the clutter is exactly what I need. Globes can be rested on nightstands or used as paperweights in your bedroom office. 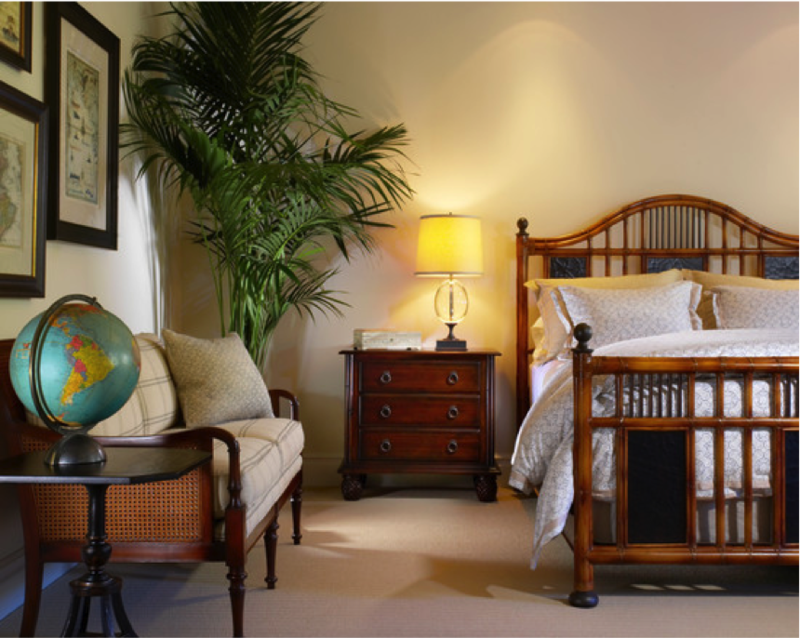 Some globes even illuminate so they would add the perfect layer of light to any existing bedroom lighting. Or if your bedroom is lacking light, turn a vintage globe into a full light source. A pendant light fashioned out of a globe is such a unique idea. Your “golden” globes can be brighter than all of Meryl Streep’s combined. Kristi Linauer of Addicted2Deocrating.com explains how here. Just please ask your grandfather first before you take his vintage one to experiment with. A globe provides visual interest. There is always something interesting to look at and dream about and relate to. This themed picture exactly illustrates the point that I have been trying to make these past few weeks. Overkill? Just a bit. Realistic? Fat chance. Lesson learned? Definitely. There are countless versions of Sherlock Holmes stories. According to IMDB.com, that individual has appeared 262 times in the last 112 years, most recently some new show called “Elementary” which I will never watch. 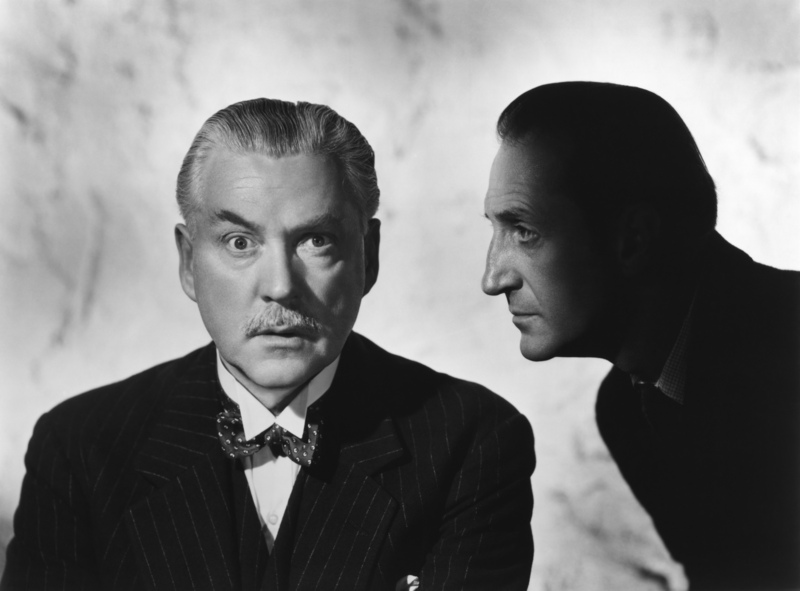 The most indispensable of all these, however, is the movies starring Basil Rathbone as Holmes and the unparalleled Nigel Bruce as the bumbling, silly Watson. This dynamic duo dominated the Doyle derivatives from 1939 to 1946. Barely an hour in length, and driven mostly by the hilariously witless antics of Dr. Watson, these are the perfect movies to watch when you want something slightly mysterious, slightly goofy, and not as long as an episode of “Inspector Lewis”. What’s even better is they made a total of thirteen Sherlock Holmes movies during that seven-year span, so there are plenty to choose from! Now I’m not an expert on the compete works of Sir Arthur Conan Doyle, but I suspect some of these are not wholly true to the original, such as when, oh, the Nazis are brought into the plot. But whatever the story, you can always count on our friend Watson to announce something like: “Oh! Kippers! I’m as hungry as a bee on a flower!” God bless him. 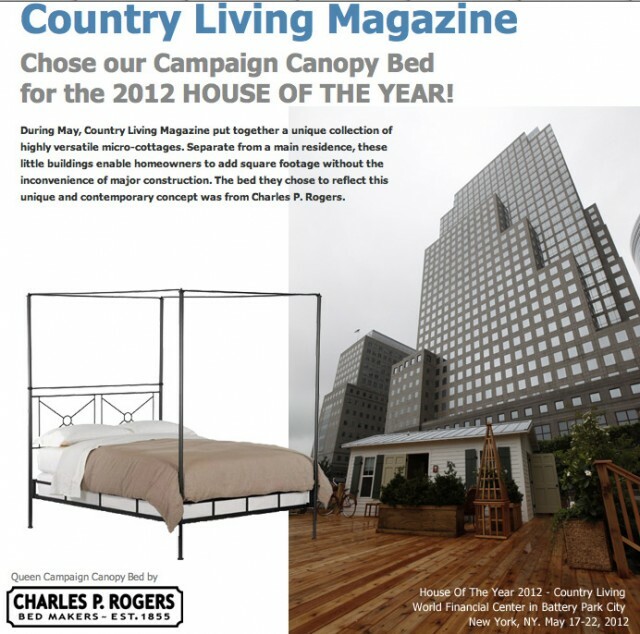 Things We Like: Country Living Magazine Chose Our Bed! Earlier this year, Country Living Magazine took a different approach with its House of the Year Project. Instead of designing one single home, its designers set out to create three unique spaces: an outdoor kitchen, a guestroom, and an entrepreneur’s studio. The event sets out to show the world an “idealized version of country living”, and who wouldn’t want an escape from the city. It’s a great way to remind New Yorkers that there’s life outside the city, and that it’s available in high fashion too. The rooms were on display earlier this year from May 17 to 23 at the base of the World Financial Center in Lower Manhattan. What we liked most about this event is the choice of bed. Country Living designer Thomas Paul chose our special single “X” Campaign Canopy bed to be the focal point for his vision of the ideal bedroom cottage, and we couldn’t be happier. As a way to add to the room’s camp-like feel, Mr. Paul draped the bed’s iron frame with simple white curtains. His philosophy is that “A lot of fabric around a canopy bed can seem old fashioned,” but that using very plain curtains is a perfect way to bring the tent indoors without feeling too stuffy. Curtains also look great on canopy beds in more traditional bedrooms, as the flowing fabric makes the room more visually interesting and accentuates the canopy frame’s clean lines. If you’d like to read more about the event, be sure to pick up a copy of the September issue of Country Living Magazine.